Alkor Technologies produces large number of Infrared Lenses for Thermal Imaging Cameras. Check our catalog for details or send us RFQ for custom solution now! With our in-house, full optical capabilities, we are well positioned to serve the commercial FLIR and Thermography Lens markets. We also offer excellent prototype service for researchers, orders can be made for 1-5 IR Thermal Imaging Lens. Our Infrared Lenses are essential components for Infrared Camera Manufacturers for their rescue systems, maintenance systems and automotive night vision systems. 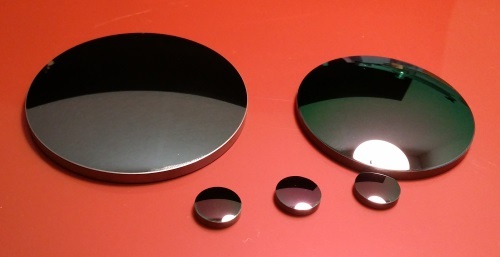 Germanium and Silicon IR lenses can be ordered with Hard Carbon coating for outdoor and marine applications.